I love catching up with old clients. Sometimes it’s informally at a local user group meeting, or at their offices sitting down to discuss implementing a new phase of Salesforce (perhaps Pardot or a customer community). In any event, it is always intriguing to learn how well they’ve executed their vision since going “live.” Did they continue to innovate after we handed over the keys to Salesforce? It’s always wonderful to see our customers continuing to execute their strategy. The results are even greater for companies when their leadership team and administrator are in lockstep, communicating and prioritizing the work to be done. When working with our clients, one of the first things we seek to understand is why they bought Salesforce. How did they envision it transforming their business? How would the platform address the pain or friction inside their organization? How did they intend to measure the ROI of their Salesforce investment and know if it was a success? Why do we ask all these questions? It allows us as consultants to adopt the customer’s mindset when we’re creating solutions. Said differently, the vision provides the business context that’s wrapped around the requirements. If we know the intent behind their choosing Salesforce, for both today and the future, we might implement solutions differently (e.g., today we’re building this for internal users, but later we’re going to share this information with both our customers and vendors on a community). Knowing the overarching business objectives for a company helps us not only address what is needed today, but also architect a foundation for future innovation and growth. Solutions that are implemented in alignment with a company’s vision serve to accelerate the ongoing innovation on the platform. At some point after the initial implementation is complete, the consulting partner steps aside and hands over the day-to-day responsibility to the company’s administrator. If you are a large organization, you may have a dedicated person for this role. If your company is smaller, the duties of an administrator will still exist, but they may only be part of someone’s job responsibility, rather than his or her full-time title. Regardless of your company’s size, requests will start to come in — some from users, some from leadership, some from business owners. How will these be prioritized? Will these requests be viewed myopically as they hit the admin’s inbox or seen holistically against the company’s long-term strategy for using Salesforce? What I can tell you is that the Salesforce administrator should not be making business decisions (i.e., configuration changes) inside a silo. Ideally, the administrator becomes the internal consultant for the organization, and in the same vein, creates solutions that support the company’s vision. This all sounds great, but don’t assume that just because the administrator works at the company that he or she is focused on the right objectives. Left alone, administrators may fixate on the quick wins, what interests them, or the most challenging problems. Though busy with work, left unchecked a System Admin may not be producing the innovation that ultimately makes a company more successful. How do you ensure you have alignment in priorities between your Salesforce administrator and leadership? When I hear all the phenomenal stories of administrators being Customer Trailblazers, the stories I hear most often involve individuals with a passion to learn and individuals who are empowered to solve problems. 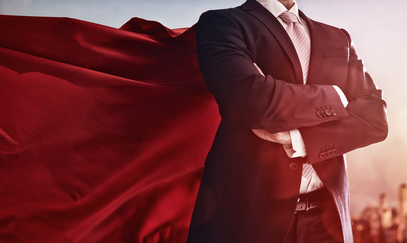 That empowerment comes from an executive sponsor or the leadership team at a company. As is often quoted, “With great power comes great responsibility”, so it is important that the vision and strategy of the company is being communicated to the administrator. Understanding this concept is the easy part. Taking this idea and making it a reality, as well as integrating it into the culture of your day-to-day business so it perpetuates, is hard. Below are some tangible assignments to ensure both the administrator and the leadership team are regularly engaged and communicating. These prescriptions are meant to foster a dialogue of innovation that is in alignment with the company’s strategy. With time you might fine-tune these assignment or find others techniques that work for your organization. 1. Admins — Each release is an opportunity to unlock additional ROI out of your Salesforce licenses! Three times a year, the administrator should read the release notes and present back to the leadership team recommendations on how the company can achieve more by leveraging new features. Consider this an internal QBR (quarterly business review), except on the seasonal-release cadence. 2. Leadership — Explore the Success Journey Hub once a month and see if there are any examples and best practices that resonate and support the vision of the organization. Bring these to your admin for discussion. 3. 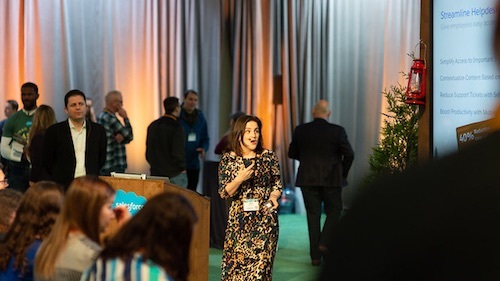 Together — Plan on attending two to four Salesforce events annually to learn how other companies are innovating on the platform. 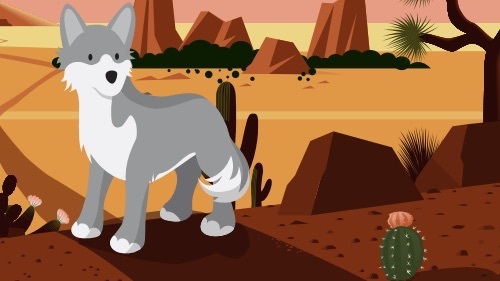 Dreamforce is the obvious choice, but also look into attending World Tours, Essentials Events, and regional community events like Midwest Dreamin’ and Texas Dreamin’. Your Salesforce account executive can let you know what’s being scheduled in your area. 4. Together — Schedule monthly or bimonthly configuration pipeline meetings. 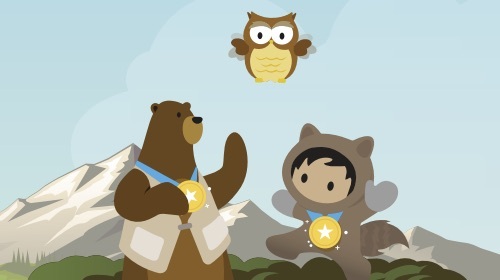 Review the backlog of new Salesforce features, requests from end users or other stakeholders, discoveries from Salesforce events, and best practices curated from the Success Journey Hub. These meetings should be working sessions to reevaluate the company’s objectives against the configuration changes planned for Salesforce. 5. Together — Consider using cases inside Salesforce as a way to track and manage enhancement requests. If you lose your administrator or have a change in leadership, you’ll have business continuity through this change log that’s maintained in Salesforce. If key personnel are displaced, it will allow you to answer questions down the road such as: Why did we do this, when was it done, what did it impact, and who requested it? Your business is constantly evolving. As the platform that runs your business, why should Salesforce be any different? That’s the beauty of it; it’s flexible and nimble. That being said, we all work under constraints. It’s incredibly important that the effort put toward enhancing Salesforce complement the business strategy of the organization. By focusing on the partnership between the administrator and the leadership team, you’ll accelerate your innovation on Salesforce, while staying in concert with your company’s vision. Note: This blog post is the second in a three-part series about how sales leaders can be more successful by working with their Salesforce admins. Missed the first blog post in the series? Read it here. Shell Black is a Salesforce MVP, 4X Salesforce Certified, multi-year Dreamforce speaker, the host of the ShellBlack Whiteboard video series, and President of ShellBlack.com – a Salesforce consulting partner with over 500 customer engagements and clients in 40 states. Follow Shell on Twitter @Shell_Black.